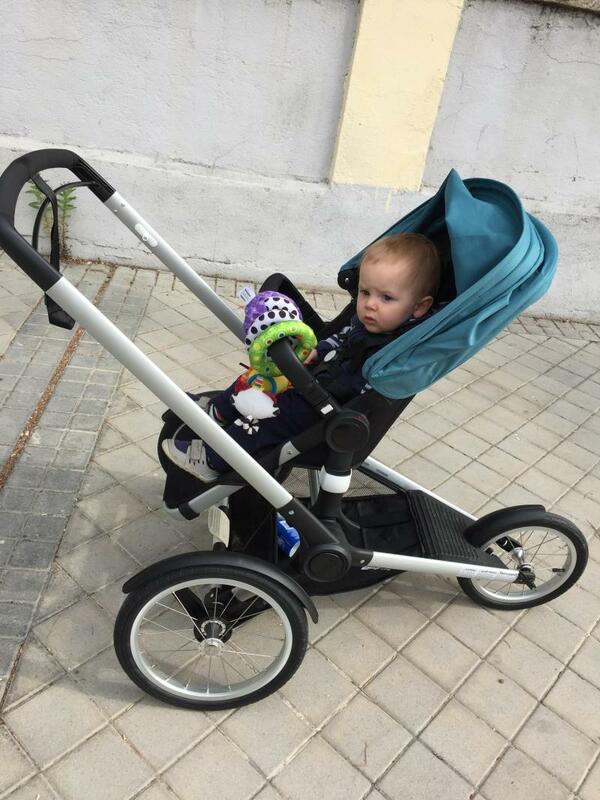 This is an excellent running buggy and in my opinion is the best compared to others on the market. It is also the most expensive but well worth the money if you can afford it. I used this running buggy with my son from approx age 1 to 2 years old for runs and races up to 15km. He always enjoyed coming running with me with this running buggy. It is easy to manoeuvre and light to run with. It is a comfortable ride for my son. It has a good sized basket for drinks, snacks and supplies. A major highlight is the ability to have the seat forward facing or facing me. There is no need to compromise on a previously active lifestyle once you have children. You just need a Bugaboo Runner . This 3 wheeled running pushchair boats large air filled tyres for a smooth ride and superior suspension. There are mud guards to make it practical over all terrain and in all conditions, and a speed control brake. 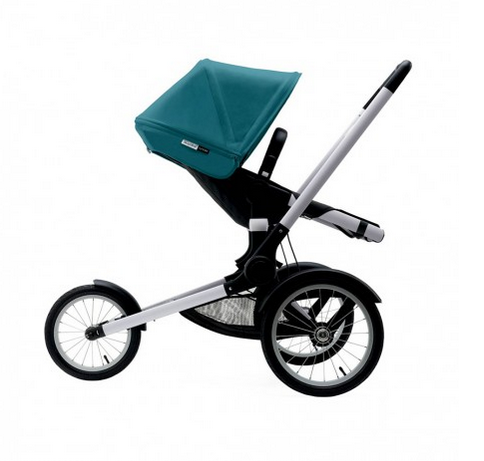 It possesses the quality and durability you would expect from the Bugaboo brand. There is a large under seat basket to hold all of your essentials, and most of the Bugaboo accessories you love are compatible with the Runner Complete too. In characteristic Bugaboo style, you can choose to have the seat facing you, or facing the world. What are you waiting for? Run free! 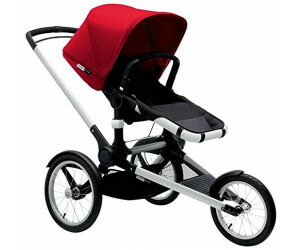 Spacious Bugaboo Runner seat suitable from 9 months to 17 kg / 37.5 lbs. 3 air-filled tyres to provide a smooth run. Five-point harness with height adjustable shoulder straps. Weight (chassis): 8,8kg/ 19.3 lbs. 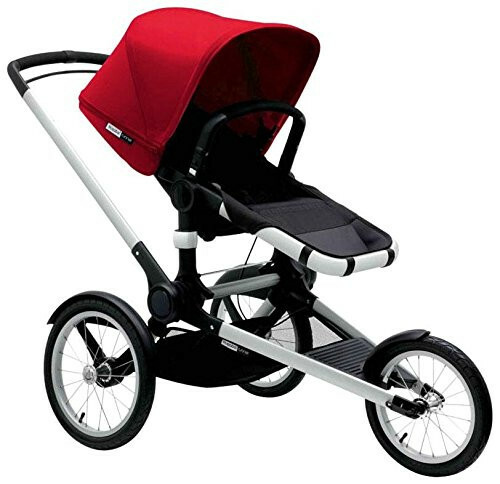 Weight (chassis, adapters, wheels, Bugaboo Runner seat, underseat basket): 12,7 kg / 27.9lbs. Folded lwh: 86.5x70x42.5 cm / 34x26.6x16.5". Unfolded width: 70 cm / 28". Underseat basket: 17,5 l / 4.6 gal.